Vincent Feigenbutz (20-1, 19 KOs) is promising a spectacular performance on Saturday night as the twenty year-old power puncher prepares to defend his interim WBA World Super Middleweight title against Italy’s Giovanni De Carolis (23-5, 11 KOs) at the dm-Arena in Karlshrue, Germany. Bolstered by local support, the young talent, who will be headlining his first show, is confident he can continue his run of impressive knockout victories against the wily veteran De Carolis. The Italian challenger shares the young champion’s confidence and believes his experience will be the decisive factor in their battle for the WBA interim crown. Much has been made of the De Carolis’ ability to withstand a punch in the build up to the fight. 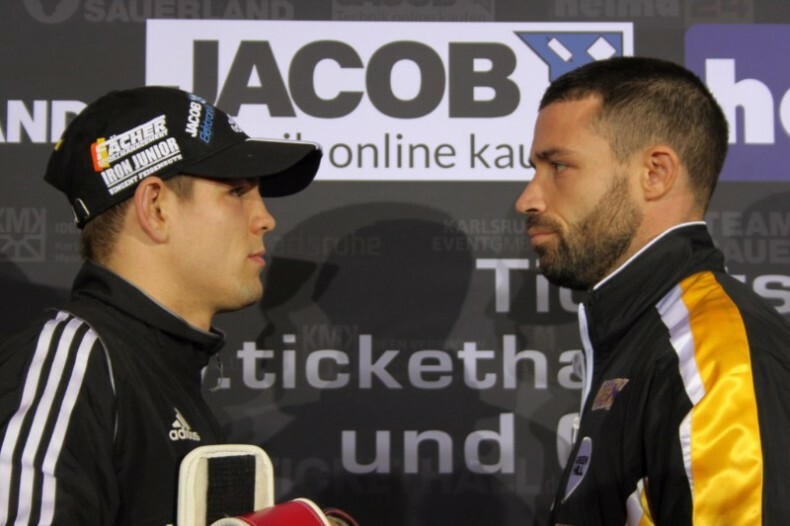 He has only been stopped once in his twenty-eight-fight career, and having previously gone twelve rounds with the hard-hitting Arthur Abraham, the 31 year-old has said he expects no problems standing up to Feigenbutz’s power. Tickets for Vicent Feigenbutz’s interim WBA World Super Middleweight title defence against Giovanni De Carolis are available online via eventim.de and tickethall.de.